Transplanting hair involves a procedure that takes and moves small scalp grafts that contain hair, generally from either the back or the side fo the head, and placing them wherever the hair is gone or thinning. Most of the time, this area is at or near the top of the scalp. There are five different sizes of hair-grafts that the physician may use, which include: punch grafts, mini grafts, slit grafts, micro grafts, and strip grafts. The smallest of these is the micro graft, containing only 2 hairs at the most. While the largest is the strip graft, which is just a long, thin piece of hair-bearing scalp that may hold between thirty and forty hairs. Because the hair grafts are so small in comparison, it is highly possible that the patient will require multiple sessions before the surgery is fully achieved. The entire hair replacement procedure may take as long as a couple years since each session will require at least several months of healing before surgery can be resumed. Before the surgeon begins the hair replacement procedure, he will trim the area that he plans to take the scalp grafts from. This makes it so they can be removed much easier than if the donor hair was left long, and it’s also much easier to keep sanitary during the entire session. The scalp is then cleaned, and the areas from which the grafts will be removed and received are given a local anesthetic. The surgeon will either use a round punch to remove the grafts, or he will carefully cut the strip away with a scalpel. The punch is used if there is only a small piece that is being removed. If the scalpel method is chosen, he will then take and divide each section is multiple tiny sections before moving them. Sometimes a sterile saline solution will be injected into the donor grafts to keep the skin from losing any strenghth before it is relocated. Once the surgeon finishes with the transplant session, he will close up any of the holes or strips that he made. Generally, this only requires a couple stitches. If there are only small holes from the punch, the surgeon will most likely only use one stitch to close them up. Patients should not have to worry about the scars being easily seen since the hair should be able to conceal them entirely; however, the scars can range from being a small dot to a thin line. The scalp will then be cleaned again with disinfectant, and then wrapped with pressure bandage made out of gauze or similar material. Most of the time, the surgeon recommends that the patient wear the bandage for a few days, although there are some that don’t require it at all. 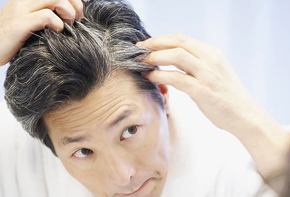 The average hair replacement session is done at the most in sessions containing three hundred grafts. Sometimes it can come out to less, and occasionally more, it just depends on what the surgeon is comfortable with. There are however, some sessions that can be as large as several thousand grafts at a time. This of course reduces the amount of time the hair restoration process takes, but it also has a larger potential for failure. Since these larger sessions are a relatively new development, there is still considerable controversy concerning their effectiveness. Doctor’s generally give each smaller session several months to heal so that there is the maximum amount of circulation allowed. When done in megasessions, the circulation may potentially be compromised. In the end, the choice is between the patient and doctor concerning how large the sessions should be based on the patient’s needs and expectations.